As part of its social responsibility, the University of Education, Winneba (UEW) has supported this year’s Aboakyer festival celebration with money and assorted drinks. 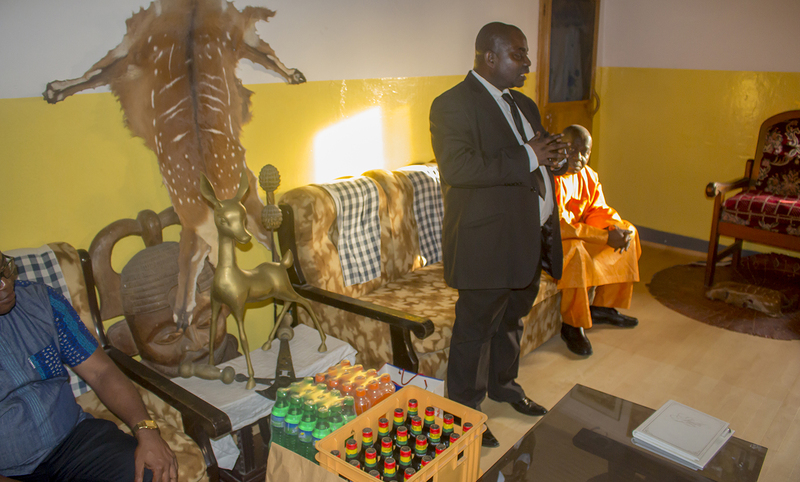 The presentation of the items was made on Wednesday, 2nd May, 2018 at the residence of the Omanhene of Effutu Traditional Area, Neenyi Ghartey VII. The Registrar, Surv. Paul Osei-Barima Esq recounted that as the community celebrates its festival, this donation will supplement the drinks offered to visitors during the festivities. 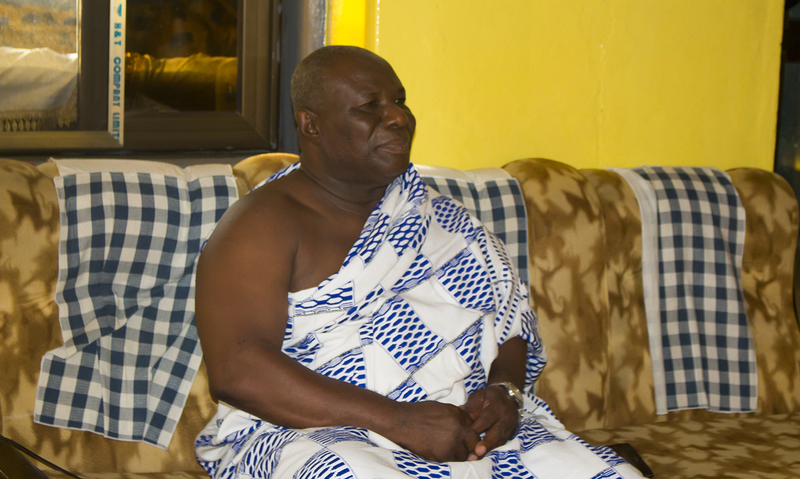 The Omanhene who acknowledged the visit as a big surprise expressed great joy and promised to show his appreciation to the University at the appropriate time. Present at the visit were the Ag. Vice-Chancellor, Rev. Fr. Prof. Anthony Afful-Broni, Ag. Finance Officer, Mr. Bruno Chirani and Head of University Relations Office and Media, Ms. Obaapanyin Oforiwaa Adu.